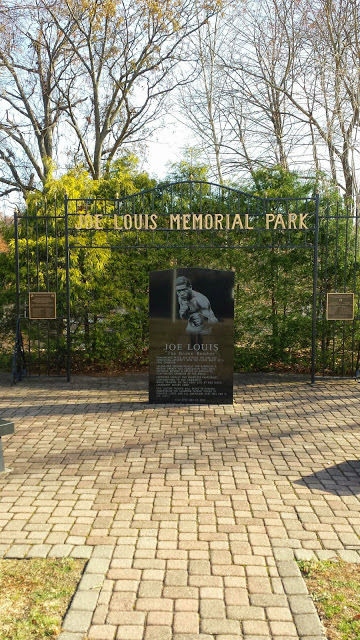 The finest tribute, outside of the International Boxing Hall of Fame, that I have seen to a professional boxer to date is the Joe Louis Memorial Park in Pompton Lakes, NJ. 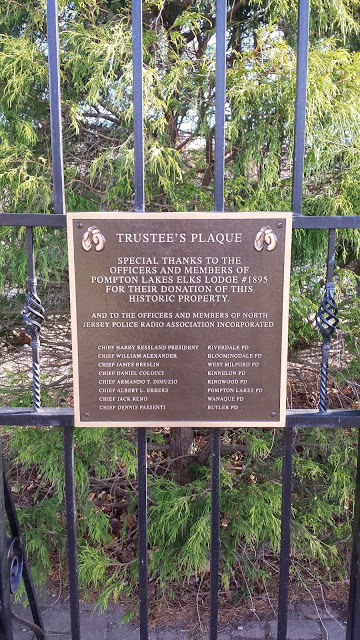 This park is located just behind the Pompton Lakes Elks building. 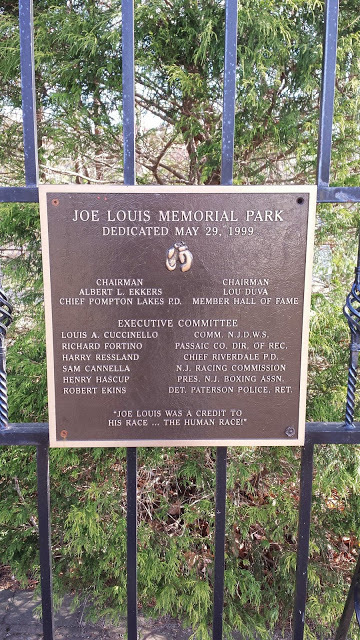 Pompton Lakes is a quiet suburb of New York City that once served as a training location for former boxing world heavyweight champion Joe Louis. 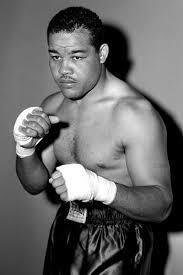 The "Brown Bomber" was not only a world champion boxer; he was also a patriot and philanthropist. 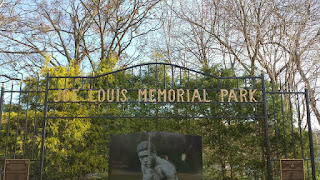 Louis served his country during World War II and had significant charitable impacts on the communities that he lived and worked in. 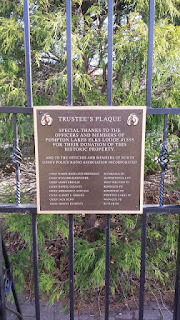 The next time you are in North Jersey, I highly recommend taking some time out of your day to stop by this little-known history gem! 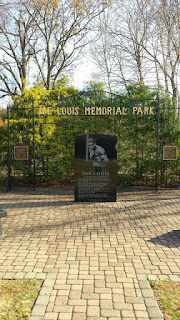 "WHEN Joe Louis was the heavyweight champion, he put this leafy little town on the map. And now the town has put Joe Louis on a monument. 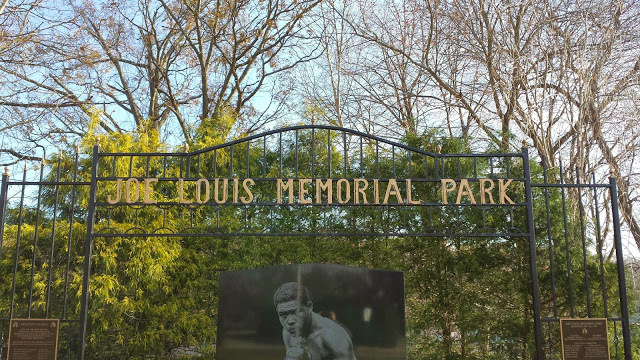 Created by Anthony Sgobba in glossy South African black granite, Joe Louis's life-size likeness is on a monument dedicated here yesterday in what is now Joe Louis Memorial Park next to the Elks Lodge #1895, a left jab away from what was Doc Bier's training camp, where Louis prepared to knock out, among others, Max Schmeling and Billy Conn (twice). Every so often, Louis would go to the movies, too. If a few kids were standing around outside, he'd tell the ticket-taker, 'Let 'em in. I'll take care of it.' If the kids were standing around outside the ice-cream parlor, he bought cones. And the Pompton Lakes kids never had to pay to watch him train. After a local resident died in 1935 and before an ambulance arrived from a nearby town, Louis boxed an exhibition that raised $2,600 to buy Pompton Lakes its own white Packard ambulance. He raised $2,000 to help build a police communications tower. And every so often, Lou Duva, then a teen-ager in nearby Paterson, hitch-hiked here to watch the champion train. For a big fight now, boxers don't train like that. They stay in casino-hotels now. They spar in glitzy ballrooms with chandeliers. Duva and the Pompton Lakes Police Chief Al Ekkers were the fund-raising co-chairmen for the Joe Louis Memorial Park and monument. As early as 1923, boxers began coming to the barracks-like house next to the home of Dr. Joseph Bier, an eye-ear-nose-and-throat specialist who operated what he called a Health Farm on the shore of Pompton Lake in this tiny town of 3,000 in the woods and lakes of northern Passaic County. The population is now 11,500. Some of the best boxing names of that era trained here -- Benny Leonard, Harry Greb, Pancho Villa, Ace Hudkins, Tony Canzoneri, Jimmy McLarnin, Jackie (Kid) Berg, Lou Brouillard, and Primo Carnera. 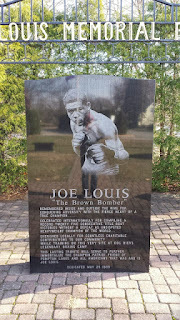 But in 1935, when Louis was about to come here to train for his first fight in New York, against Primo Carnera, at least one resident objected to the presence of a black fighter along with John Roxborough, a black manager, and Jack Blackburn, a black trainer. Doc Bier never blinked. For most of Louis's fights in New York, they returned here. He considered Pompton Lakes his 'lucky camp,' especially after he trained at Lakewood, N.J., before being knocked out by Max Schmeling in the 12th round at Yankee Stadium in 1936. 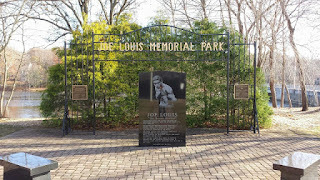 Before his 1938 title defense against Schmeling at Yankee Stadium, Louis trained here, then knocked out Schmeling in 2 minutes, 4 seconds of the first round. And it would be only a left jab away from the Joe Louis monument."